Blood clot. 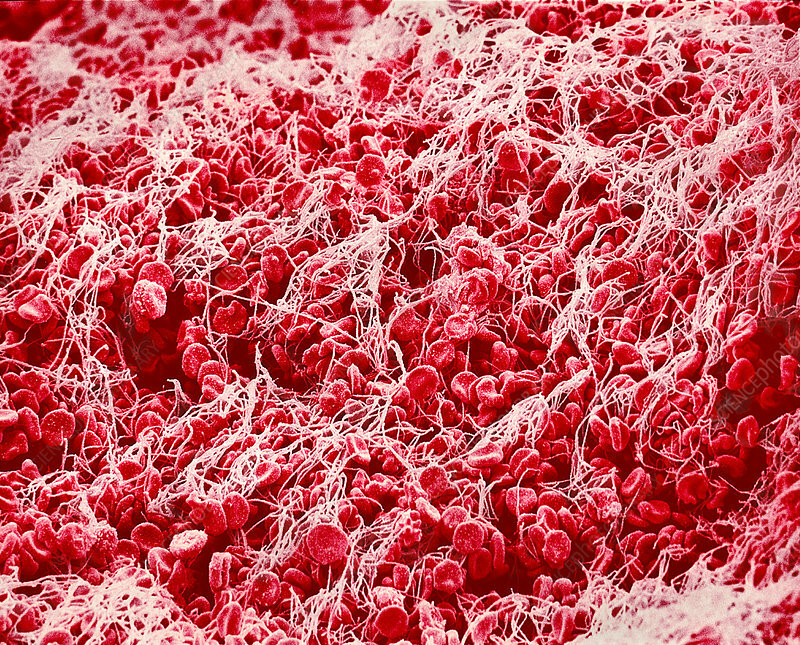 Coloured scanning electron micrograph (SEM) of clotted human blood. A clot forms as a result of blood coagulation processes. It consists of a meshwork of the protein fibrin (white), in which various cells, including red blood cells (erythrocytes, red) are trapped. Clots form at the site of external wounds, to prevent blood loss and the entry of disease-causing micro-organisms. They may also form internally, where they may block blood vessels, causing a thrombosis. Magnification: x1200 at 6x7cm size.